Just about anyone can serve as a volunteer–even kids. 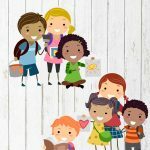 There are many ways to offer help at your school and within your community. 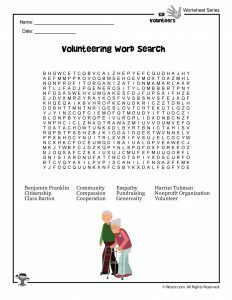 Some examples include: Helping clean up the lunch room, raising money to start a school garden, or working at a local non-profit organization like an animal shelter or food bank. 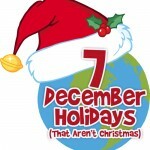 Or it could be a fundraising campaign for a group that helps people worldwide, like the American Red Cross. 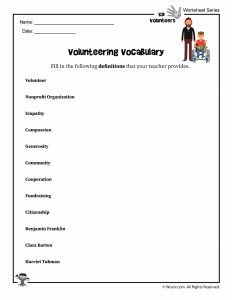 This Volunteering for Kids unit will help students understand the benefits of volunteering. 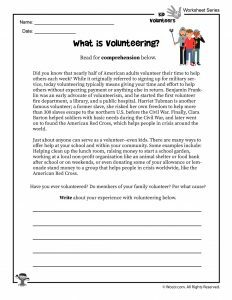 It will also help them learn about some important volunteers in history, and inspire them to think about ways to volunteer in their own community. Did you know that nearly half of American adults volunteer their time to help others each week? While it originally referred to signing up for military service, today volunteering typically means giving your time and effort to help others without expecting payment or anything else in return. Benjamin Franklin was an early advocate of volunteerism, and he started the first volunteer fire department, a library, and a public hospital. Harriet Tubman is another famous volunteer; a former slave, she risked her own freedom to help more than 300 slaves escape to the northern U.S. before the Civil War. Finally, Clara Barton helped soldiers with basic needs during the Civil War, and later went on to found the American Red Cross, which helps people in crisis around the world. In the current political climate, funding for many nonprofit organizations that support the arts, healthcare, the elderly, the environment, and the poor may be cut back. Local nonprofits are in need of more help than ever, because less funding means they can’t hire as many employees or purchase necessary resources to do their community work. 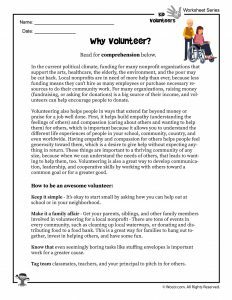 For many organizations, raising money (fundraising, or asking for donations) is a big source of their income, and volunteers can help encourage people to donate. Volunteering also helps people in ways that extend far beyond money or praise for a job well done. First, it helps build empathy (understanding the feelings of others) and compassion (caring about others and wanting to help them) for others. 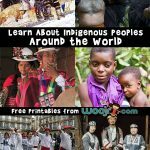 These are important because they allow you to understand the different life experiences of people in your school, community, country, and even worldwide. Having empathy and compassion for others helps people feel generosity toward them, which is a desire to give help without expecting anything in return. These things are important to a thriving community of any size. When we can understand the needs of others, that leads to wanting to help them, too. 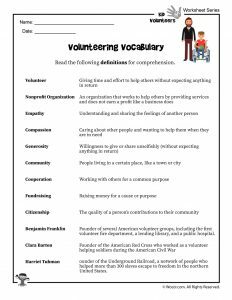 Volunteering is also a great way to develop communication, leadership, and cooperative skills by working with others toward a common goal or for a greater good. Keep it simple – It’s okay to start small by asking how you can help out at school or in your neighborhood. Make it a family affair – Get your parents, siblings, and other family members involved in volunteering for a local nonprofit – There are tons of events in every community, such as cleaning up local waterways, or donating and distributing food to a food bank. 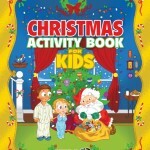 This is a great way for families to hang out together, invest in helping others, and have some fun. Know that even seemingly boring tasks like stuffing envelopes is important work for a greater cause. Tag team classmates, teachers, and your principal to pitch in for others. Benjamin Franklin – Founder of several American volunteer groups, including the first volunteer fire department, a lending library, and a public hospital. Harriet Tubman – Founder of the Underground Railroad, a network of people who helped more than 300 slaves escape to freedom in the northern United States. 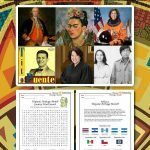 This assignment requires using your imagination to solve a problem or address a need in your school, community, or anywhere in the world. Perhaps you love animals and want to start a shelter, or you want to plant trees in your neighborhood. Or maybe you’d like to raise money for kids who are in the hospital with serious illnesses. There’s no issue too small to tackle, or too big to help out with. 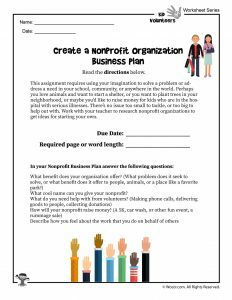 Work with your teacher to research nonprofit organizations to get ideas for starting your own. Can you come up with a cool name to give your nonprofit? 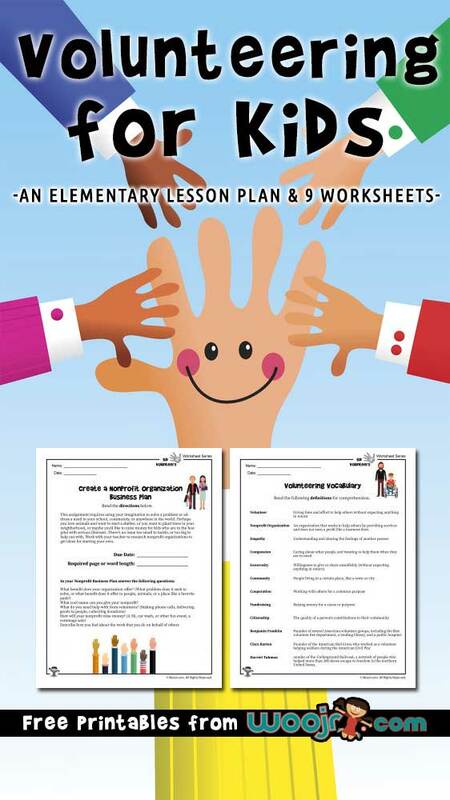 For this assignment, you’ll learn how to cooperate with your fellow students to come up with an idea to help others in your school or community. 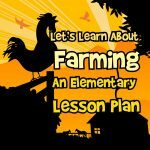 You might decide to raise money to buy new supplies for your school, or to help out with cleaning up the school grounds, or to start a school garden. What will your volunteer project be (who or what will it benefit)? When would you like to complete the project? Decide whether you’re going to raise money, donate time, or both. Determine if you will have to get permission from other teachers, your principal, or other staff before getting started. 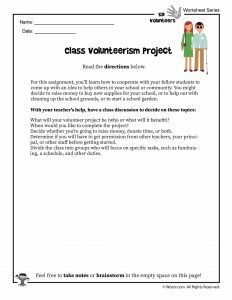 Divide the class into groups who will focus on specific tasks, such as fundraising, a schedule, and other duties.